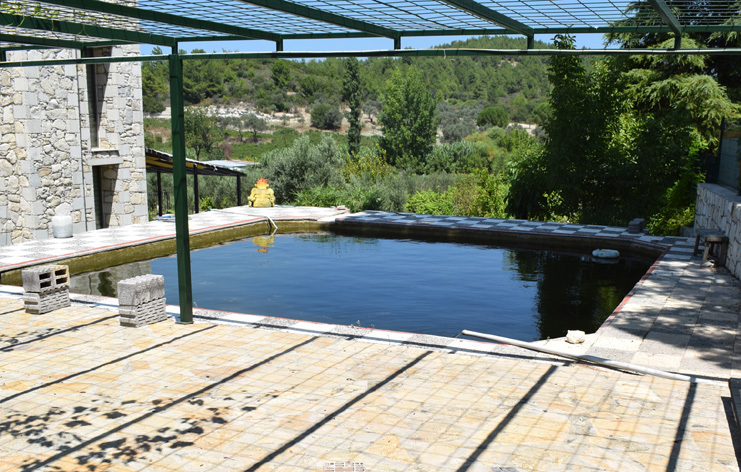 As if making your own wine in glorious sunshine wasn’t enough, the Turkish smallholding we visited this summer had a brilliant swimming pool hack. The new smallholding came with a swimming pool, part of an original larger plot and house, plus a tiny natural spring nearby. Now it’s been hacked into the smallholding’s irrigation reservoir complete with koi carp. The DIY micro filter bed feeding the spring into the old pool. The spring now feds into a six foot long micro filtration bed, complete with reeds, gravel and UV treatment, before filling up the carp’s swimming pool. 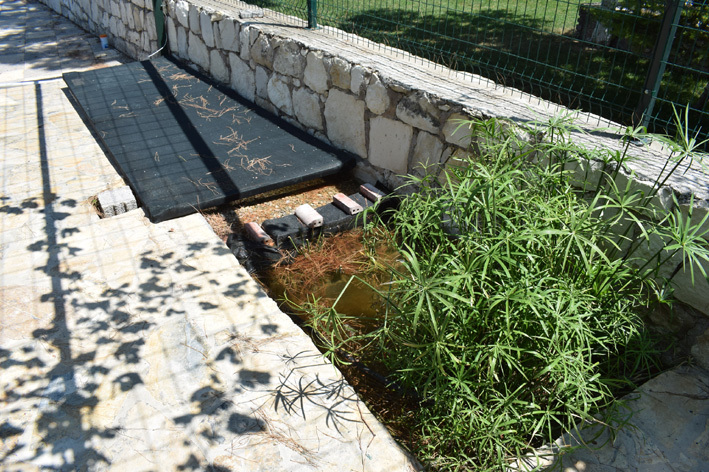 A literal hack of a section of the old tiles around the top of the pool, now provides an overflow channel to a soakaway once the pool is full. And the old outlet pipe for emptying the pool now feeds into the drip feed irrigation pipes to provide daily watering on the smallholding, before being topped up once again overnight by the spring. 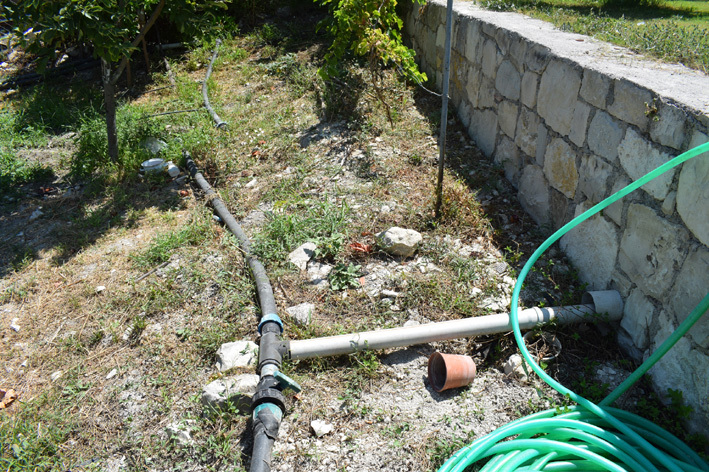 The old pool outlet now gravity feeds the smallholding’s irrigation system. This entry was posted in Good Life and tagged eco, Emma Alesworth, grow your own, hacks, irrigation, Paul Rainger, Smallholding, swimming pool, The Secret Acre, turkey, watering by paulrainger. Bookmark the permalink.